If you’re a Newborn Care Specialist, we’d love for you to join us for the INA Conference NCS Track from May 18 through the 21 in Chicago, Illinois. Fun and educational, you don’t want to miss one moment! We are so excited! 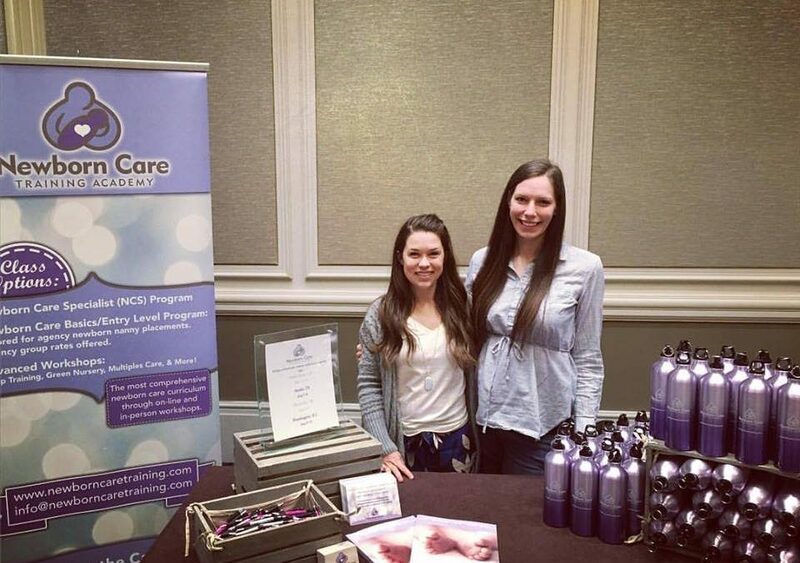 The International Nanny Association (INA), an invaluable organization in the home child care industry since 1985, is putting on their annual conference this year from May 18 through the 21st! This is a great opportunity for Newborn Care Specialists, Nannies, and other child care professionals to come together, learn new things, and make new friends! The INA Conference schedule is split up into three tracks, to accommodate the needs of the various attendees. Of course, we all know that the Newborn Care Specialist track is the best, because it is for us! But don’t just take our word for it. Come join the fun for a weekend of networking and learning! The INA Conference kicks off Thursday May 18 at Noon, when registration opens. All attendees must register, and this is where you pick up your Name Badge and conference materials. You have until 6:30 PM when registration closes, but the earlier you get there, the better. You won’t be able to get into any official INA Conference NCS Track events without your name badge! For first time attendees, the orientation hosted by the spectacular INA Conference Coordinator Kellie Geres is recommended. You’ll get some great info on what to expect from your INA Conference NCS Track experience and how to make the most of it. And the Welcome Reception from 6 to 7:30 will give you a great chance to connect with people you know, and make new friends. But make sure you get to bed on time, because things get started early on Friday! Breakfast starts at 8am, getting you ready for a big day. At 9 am, you might want to check out the Keynote Address: Finding Your Own Work/ Life Balance: Tips on Work Life Balance from a Recovering Workaholic. Not part of the NCS track exclusively, this address is presented by Megan Metzger from Preferred ChildCare and is full of useful info for us all. The NCS Track on Friday focuses a lot on dealing with sensitive issues that can come up as you work with different families. At 11:00 AM, you can learn about Cultural Differences & Sensitivity from Susan Labadi, a woman who has taught professors about diversity. And at 1:30 PM, Kathleen Braun Butler has some words of wisdom to share about Working with LGBTQ Families. After you’ve had the chance to learn more about our wonderfully diverse world, you’ll get the chance to bliss out on the wonderful world of science. At 2:45 PM, Deborah McNelis will be doing a great presentation on Infant Brain Development, sharing some of the latest findings as to why and how attachment is so crucial for infants. After a full conference day on Friday, Saturday is a bit more relaxed. You’ll get the chance to visit the vendor marketplace between 8 AM and 4 PM. This is where we’ll be so be sure to check it out! There are a couple of presentations and a chance to ask questions from a panel of experts before enjoying some time designated just for networking, but all in all, Saturday is a more relaxed day. Saturday is also the official close date of the conference. At 5:15 that evening, there will be a Closing Reception & Raffle with a cash bar and light appetizers available. If you are able to attend the INA Conference NCS Track, you won’t be sorry. The chance to get to know others in our industry is a priceless experience! To learn more about the planned events and to register for the fun and learning, visit this link. You only have until April 30th to Register, so don’t wait too long!